Polye issued the warning on Wednesday at a ceremony where supporters of his rival candidates at Upper Marient in Kandep surrendered and vowed to support him in this year’s election. “Our governor Peter Ipatas does not get the projects for his Irelya village in Enga Province on merit. “Ipatas uses me as a political commodity to gain them. He usually tells Prime Ministers including the current one that he will distract Polye from concentrating on toppling them. “My political enemies were easily bought into his tricks at Waigani,” he said. Polye said that was why Ipatas had been criticising him at all his public rallies. “I have at no one time criticised him but he is addicted to throwing mud at me. He gets projects for criticising me,” he said. Meanwhile, he has called on his people to be wary of candidates in his electorate who would plot to destroy his votes in this year’s election. 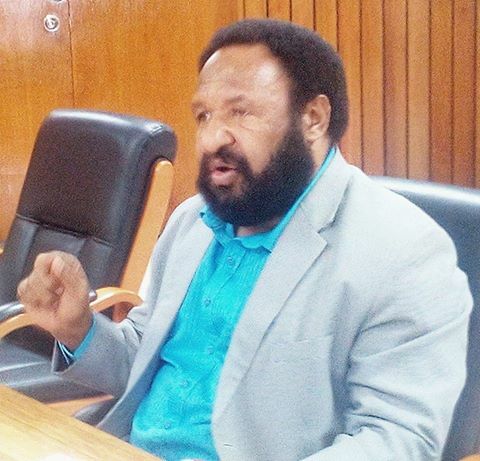 Polye said that in light of his rival candidates’ voters shifted their support for him, he was confident of retaining his Kandep seat on primary votes again with more than 30,000 votes. Polye said despite it was their constitutional right to challenge him, their motive was not genuine as they would be used by others. “I am gifted by God in leadership. My rival candidates are also gifted by Him in their professions and not in politics as I am,” he said.